Consists of Nebbiolo (85%) and Vespolina grapes. This wine requires full maturity and is treated in the barrel for 3 to 4 years, and can then be stored for decades. The mineral composition of the porphyritic soil together with the characteristic structures of the Nebbiolo grapes allow “Boca” to become a full, expressive wine. Its flavour reminds one of well-matured forest fruits, violets, tobacco and dried herbs with hints of balsam and citrus fruits. Power and a silky elegance will develop in the mouth, fascinating and playful, with a slightly noble and bitter final note. The vast complexity of taste allows one to discover new facets over and over again. Our Boca can mature and refine in bottles for up to 10-20 years. Old vineyards (30 - 50 years) at Traversagna, in Prato Sesia, and at Le Piane (old vineyard of Antonio Cerri). New vineyards (plantation 1998-2004) in the best sites of Boca (Mottosergo, Meridiana, Valvecchi and Traversagna). Vineyards in rows with guyot system and 5000 plants per hectare. The ground consists of porphyr gravel (of vulcanic origin) of a pink colour and full of minerals without any organic and calc, south exposure. Surface of vineyards 4.5 hecatres. Long fermentation with the skins (30 days) in open steel and wood casks (2000-3000 litres) with natural yeast. The skins are pushed down 1-2 times a day by hand (Follatura a mano). After pressing, the wine remains for 3 years ripening in big oak-wood (slavonian wood) barrels (2000-3000 litres). The malolactic fermentation occurs naturally in spring after harvest in the wooden casks. Bottling after 3 years with very soft filtering and after 12 months ripening in the bottle before sales. 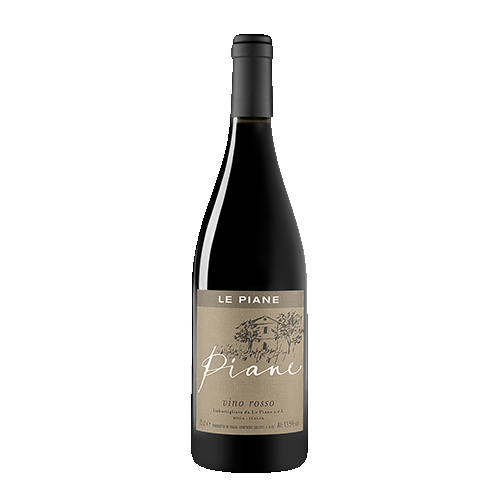 20 years anniversary of Le Piane gave us an incredible gift: the best vintage ever, nice year with good weather and some rain at the right moment and an incredible fall with nice weather allowed to wait with the harvest till end of October picking ripe and perfect grapes. The wines are full of race and expression, fine and complex with highly refined tannins. The quantity is high. The very early start of sprout end of march and a warm march anticipate the growing season by 4 weeks, then followed by a cold April with some frost around us but fortunately with any problem in our higher and well exposed vineyards. A warm and sunny May and June with perfect flowering season made that in July we are still 3 weeks ahead on a normal year. July and August as yet are not too hot and well tempered with some little rain, which made that there is no problem of hydric stress. Waiting the harvest till mid of October we picked best grapes with high maturity level and wines which are powerful and fine expressing the different vineyards very well. Very difficult year in spring with practically everyday rain and big problems with illness in the vineyards loosing 50% of the crop. A very nice fall changed at least the quality and gave few but very ripe grapes out of a colder year, which gave wines with big savory charakter, complex, a lot of energy. Needs longer aging in barrel and bottle. Quite warm year gave a very charming and early drinkable Boca, that’s why we bottled it after 3 years aging in big barrels. Smooth fruit with charmin aromatics, soft tannins and mature charakter. Very difficult year with a lot of rain the whole season, during harvest again rain which destroyed the last hope of good grapes. Only Maggiorina produced. Difficult year with a lot of rain in spring, followed by a hot August and nice September which matured the grape well. Harvest was compromised by some rains but with selection we could do small amounts of Boca of very high quality, full of elegance and very fine and complex. It reminds us the outstanding vintage 2008 with big structure, power and deep and complex aromatics. This wine should sit in the cellar for long years and in the official market, we only will release it in 2019. Good year with a nice September which matured well the grapes and harvest in the beginning of October gave small production, but wines with very good harmony and ripe aromatics. After 4 years aging in big barrels the wine shows in well balanced way ripe tannins, good cripy fruit and aromatic depth, everything in good harmony and fine textured. 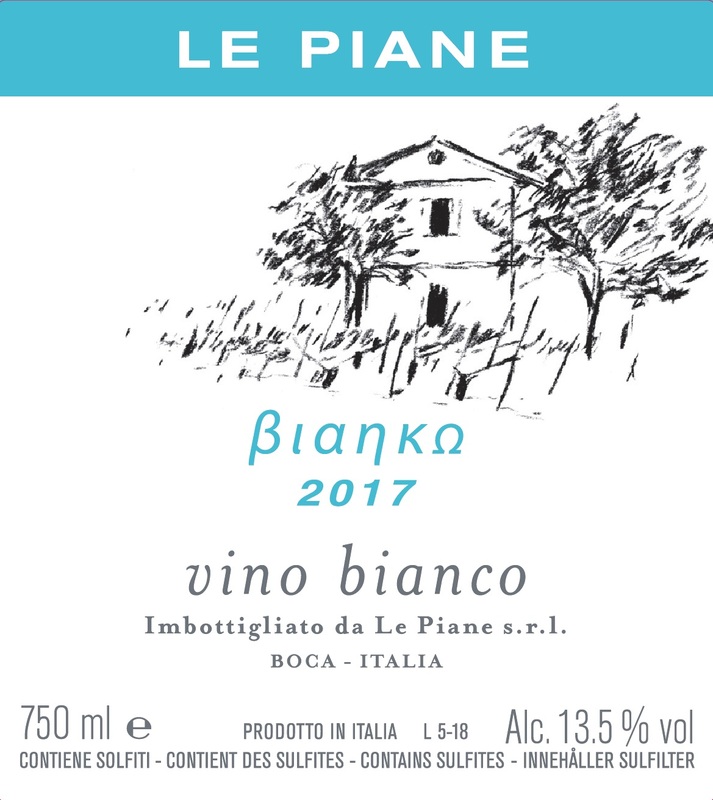 Le Piane's 2011 Boca is simply dazzling. Rich, translucent and remarkably vivid, the 2011 encapsulates all the reasons the wines from Alto Piemonte are so compelling. Sweet red cherry, rose petal, chalk, blood orange and mint are front and center, but it is the wine's superb textural polish that elevates it among some pretty lofty company among the great wines of Italy. The flavors are bold and pungent, but there is also striking depth to the fruit that ensures the savory notes aren't overpowering. This is simply a magical bottle. That's all there is to it. 96 points. After 4 years aging in big oak barrels we filled the wine in September 2015. From a hot year with exceptional hot August the ripening of the grapes was early with healthy grapes with high sugar content. In the beginning the wine was abundantly rich and needed a lot of time to put his elegance in evidence and smooth down the present tannins. 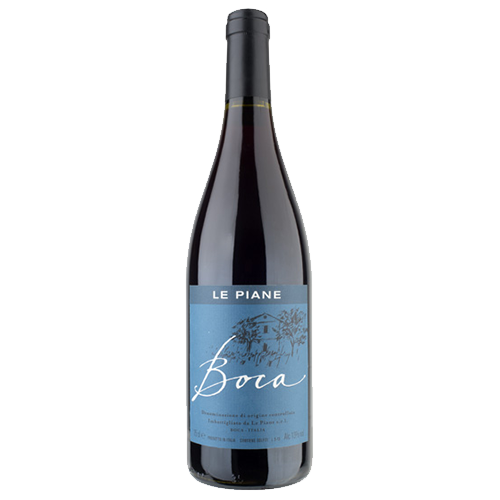 Now it’s one of our best examples of Boca with rich and ripe aromas from berries, tobacco, dark notes of forest, very balsamic and very rich but not lacking great elegance and fine character. A very difficult year till mid September being rainy and too cold. Then an extraordinary autumn changed the situation and gave incredible ripe but very fine wines with great elegance, the sugar content being low (around 13%). The quintessence how fine and elegant but complex and full of light aromatics can be Boca. The star in all guides in Italy! The 2008 Le Piane is more than a worthy follow-up to the gorgeous 2007. In this vintage, the wine is much more classic in style. The sweetest of black cherries, grilled herbs, menthol, spices and licorice all meld together in this beautiful, delineated, totally vibrant wine. The balance of focus and power is simply stunning. This is a dazzling effort from a small estate that seems to be ratcheting up quality with each passing vintage. One of the attributes of Nebbiolo-based wines from northern Piedmont is that they are often easy to drink when young, yet also age effortlessly for years, sometimes decades. That certainly appears to be the case here. This is magnificent effort from proprietor Christoph Kunzli. Anticipated maturity: 2013-2038. Colder year in spring and summer, hailstorm in beginning of June destroyed half production (all the compromised dried out berries were dropped out during harvest) . A long and nice autumn ripened the grapes to perfection and in the very late harvest we picked excellent grapes, which gave wines with great structure, complexity, rich aromatics and great finesse. To dominate this wine and develop its full potential I waited 5 years and then 18 month of refinement in the bottle to be able to present today a wine, which opens up new facets of Boca. I want to dedicate this wine to Pliny the Elder (23-79 A.C.) who was the first to describe our wine region in his “Naturalis Historia”. Extraordinary barrel bottled separate under the label of Plinius., vinification on the skins for 30 days open wood vat with punching down 2 times per day. No yeasts added. High temperature during fermentation fused the tannins together giving big structure.. Aging: 80 months aging in the cellar with 60 months of this in wooden casks and 30 months in the bottle. The mineral composition of the porphyry soil together with the characteristics of the Nebbiolo grapes create in “Boca” a full expressive wine. Flavors are reminiscent of well-matured wood berries, tobacco and leather with hints of balsamic and citrus fruits. Power and silky elegance develop in the mouth which plays with a slightly noble-bitter finish. Ages well from 10- 30 years. The tenth harvest is full of superlatives in quantity and quality. The earliest harvest ever made from middle of September on gave only perfect grapes with perfect ripeness after some perfect weeks of sun without any rain. The concentration together with a harmony and elegance which we never saw as yet. In spite of the high alcohol of 14% the wines are fresh and don't shoe the alcohol. It will last some years to understand the full potential of these wines of a perfect vintage. 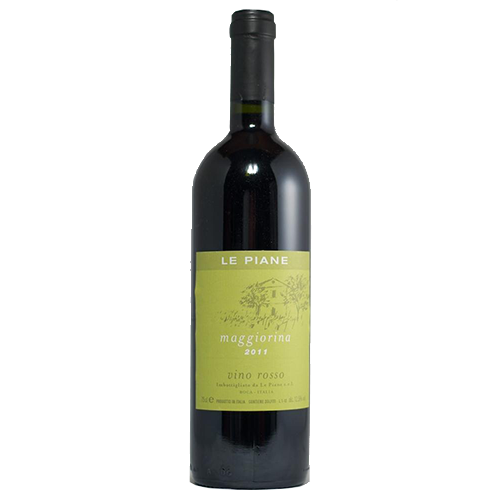 The "La Maggiorina" was not produced as all the grapes have a much higher level and will give a lot of exceptional Le Piane. Again a very good year with well ripened grapes and good acidity. In the moment the wines are ripening slowly with fine aromas and race and class, which can afford longer ripening. The harvest was made the 4-10 October. It could have been an exceptional vintage because end of august the sugar values are very high and the grapes are healthy on middle yield. Pity that a very bad september with a lot of rain compromised this hopes and needed some selection of the grapes. The harvest was done from 10-12th october and the wine shows nice fruit on good concentration near the level of 2004 and with good harmony. After the hot summer of 2003 the vines exploded after the spring rains and gave extremely high quantities. A quite cold summer seemed to lead to a catastrophic harvest but an wunderful september and october with very little rain corrected everything and gave after a extremely late harvest near the 20th of october wines with very good aromatic and harmony, good concentration on very good elegant length. The wine shows now deep berry notes in the nose with some hints of grapefruit and orange and has a velvety, concentrated body with a lot of elegance. The best Boca as yet. An incredible hot summer without any rain till mid of october could not be extremer after 2002 and didn't happen since 1947. A very early harvest which start the 26 september and enden the 28 september gave absolutely perfect grapes with very high sugar degrees. The Boca wine seems to be drinkable immediately because of his low apple acidity. The high alcohol and the full body cover the tannins which seem not to exist. Even if this wine reaches an alcohol degree near 14% it doesn't show the alcohol and is ripe and elegant with aromas of ripe plums, tar and ripe liquor berries. The worst year since 50 years with only rain in the whole vegetation period and partly with hailstroms which made this vintage to the most demanding year. A very long and difficult harvest by selecting the best grapes began only the 14th october and gave very little quantities of Boca wine which is amazing for this year showing very interesting aromas which remember a burgundy-wine. With his good harmony on nice fruit and elegant not so concentrated body it is a wine to drink soon to potect the better vintages to be drunken. A perfect year not too hot but with very little rain and a perfect autumn time which lead to absolute healthy grapes with good sugar content. May be it's the first year where we are fully happy with the difficult Vepsolina grapes so that the Boca wine has first time the planned percentage of 15% of Vespolina. The harvest was the 10th and 11th october. During maturation in the barrel the wine is bosting with concentrated fruit on a fresh acidity and also after filling in 2005 it is still very young. His complex and fullbodied character with a lot of fruit and with a lonlasting finish makes it without doubt to the best wine produced. A very good year with hot summer and few rains. The vineyards we could improve by better regulation of the yield and we could start the harvest quite early the 9th october interrupted by big rains (known by catastrophic floods in Piemont and southern Switzerland) and finished only the 18th october. Like a wonder also the last picked grapes after the rain where healthy and of good sugar degree. The Boca 2000 has good concentration and is very tipical for Nebbiolo in warmer years. After 4 years in barrel the wine was filled in 2004 and shows concentrated berry-notes with liquirice and leather on a warm and soft texture. In the moment quite young but could be the best Boca as yet produced. Big quantities, which after some rain in summer was not promising, a nice september corrected the lack of sugar but in the end of september havy rain compromised the quality. Following some sunny days in october lead to a quite late harvest which began the 12 october and could completed within two days. In spite of low concentration of the grapes the wine in the cellar developped without any problems to a very equilibrated aromatic wine. The filled wine even if not so concentrated did as yet a very nice evolution and shows beside berry-fruit spicy and liquirice aromas on long lasting mineral taste. A somewhat classical Boca wine from a middle-quality vintage. himself, hence we initiated this, in order to protect the unique heritage of this great vintner. aerated at least a few hours before being poured into a glass. Brilliant and transparent garnet colour with a luminous orange rim. In the nose one can find aromas of sea, wild strawberries, iodine and rust opening up to aromas resembling meat and sun-dried tomatoes. One can again find the same richness of aromas in the mouth being under laid by freshness and notes of sea and moss. A wine of incredible vitality having still some maturing potential and proving that sometimes even a modest vintage can be a positive surprise after many years. Vivid garnet colour with some reflexes of ruby. Autumnal nose, if you excuse my expression – lyric. First somewhat closed but opening up with mature complexity of berries, iron, marrow of figs, resin and spicy notes as well as notes from noble wood. In the mouth the same impression with wide spectrum under laid by quite sweet and soft tannins. Very mineral having freshness and good continuity. With a very long finish on slightly bitter notes resembling roots and tanbark. An incredible bottle, which is now at the zenith. Garnet-orange colour, a bit opaque (Remember to decant it well!). Tertiary tempting notes first bring to mind sweets with chocolate, rum, almonds and boiled chestnuts, followed by certain less comfortable notes of leather, concentrate of tomatoes and furnish-polish. In the mouth one can discover acidity and the aromas found in the nose before ending very long with notes reminding „Sangria“. Finishing full of aromas though making it somewhat lack in elegance. A somewhat lighter colour and a bit of a controversial nose with metallic and vinyl-notes, followed by nuts and dried grass, rounded by fruits submerged in liquor or fruit syrup, truffles and liquorice. In the mouth more juicy and less complex having more tendency to close rather than to open up. The tannins are soft and the finish has a medium length; again with notes of fruit in liquor and dried branches. All in all somewhat incomplete. Nice lighter but bright colour. An incoherent nose with tomato-juice, iron, macerated white peaches, tar, carob, burnt rubber and leather. In the mouth more coherent under laid by lively acidity presenting tannins with good backbone and length. All in all one of the best in the series, a wine which combines the mineral character of Boca with an intact body and a lot of dynamism. A wonderful amaranth-colour with tension. The nose shows very distinctly the absolute integrity of fruits together with very precise aromas. Besides the clear notes of orange-candies, aromas of hot gravel, almonds, apricots, fresh and still warm cake and seltzer open up, followed by spices and cinnamon. Extraordinary in the mouth, wonderfully articulated and tightly woven, extremely long and charismatic. The idea of a cohesion which make a perfect show after 24 years. One of the best of the series and definitely the best Italian red wine we have ever tasted of this unfortunate vintage. Our estate "Le Piane" would not exist without the experience of the wines of Antonio Cerri, which showed us the potential of this great wine growing area in the northern Piedmont and allowed us to rediscover a lost wine region in the middle of Europe.